We partner with the faith-based community to best utilize the diverse resources of the whole community to provide a vast array of excellent services and opportunities that promote individual and family stability. Founded in 1964, Hope Southern Indiana, “HSI”, provides an insightful perspective when it comes to community development. Rather than seeing other local nonprofits as competitors for funding, HSI sees them as fellow collaborators working towards a better community. They understand that if their mission is to enhance their community, and these other organizations are working to enhance their community, then helping other nonprofits furthers their mission. To that end, HSI oversees a volunteer network program whose aim is to connect skilled individuals with nonprofits that need their help. This programmatic model helps not only the needy in their community, but the servants of their community. Hope Southern Indiana (HSI), formerly the Interfaith Community Council, has been serving the needs of its community in New Albany since 1964. Originally founded as a four church collaborative with a goal to provide after school programming for school-aged children, the organization has undergone significant programming changes since its establishment. Throughout its existence, HSI has made it a prerogative to programmatically evolve alongside its community so that their mission of “promoting individual and family stability” could hold true despite sociological changes within generations. HSI has worn a variety of hats over the years. Christine Harbeson, Executive Director of HSI, describes the process this way, “Because we are rather old as a Nonprofit Faith-Based organization, we have had many programs come and go based on need. If our community needs something, we’ll try to help. But, if someone else comes along and begins providing that programming, we tend to bow out.” Rather than focus on a single program area, HSI chooses to specialize in listening and responding to its community’s needs. Including the needs of its community’s nonprofits. While some nonprofits can view other organizations as competitors in the game of funding, HSI takes a more holistic approach. They understand that if their mission is to enhance their community, and these other organizations are working to enhance their community, then helping other nonprofits furthers their mission. 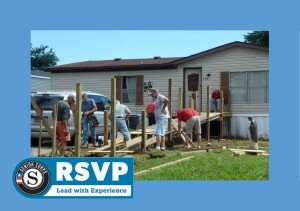 Unlike other programs at HSI, RSVP is not a faith based project. It recruits volunteers for their skill-sets rather than their faith statements. In this way, they expand their network’s reach. On average, HSI sees RSVP volunteers participate in at least three different programs, projects, or nonprofits within the community. Yet, matching volunteer interest with nonprofit need can be tricky at times. People’s egos, their motivation for volunteering, their investment in short or long term projects, their physical capacity, as well as their past professional experience, can all be factors that determine whether a volunteer will be a help, or a hindrance in different programs. Similarly, there may be volunteer interest in a type of service but there’s not always nonprofit need. Programmatic shifts happen all the time and some volunteers that love their posts are no longer needed. Such as when Meals on Wheels transitioned to frozen meals and no longer needed HSI to supply volunteer drivers, or when the local hospital was bought by a for-profit group and eliminated their volunteer program. In those moments, HSI needs to be ready to respond to ever changing program and volunteer needs whether by redirecting volunteers, as they did with Meals on Wheels volunteers recruiting them to conduct Dial-A-Care phone calls and nursing home visits, or reevaluating with volunteers where their skills and interests could be used next. Administratively, this program took time to perfect. For twenty years HSI has been administrating RSVP, and initially the program was a resources drain. Ms. Harbeson said, “We felt this program was so important to our community even though it was a money loser. Our program director believed in it consistently for twenty years and made sacrifices to make it happen. But, it took those years and years and years to get this program where it’s at.” While RSVP now results in a yearly net gain of three million dollars in volunteer hours to local nonprofits, it requires a great deal of oversight. Currently, four out of HSI’s nine staff members are needed to oversee the RVSP program. What has carried HSI through the long process of establishing a thriving RSVP program is their passion for their community. 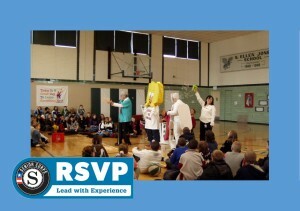 While RSVP may be one of HSI’s best programmatic offering their organizational best practice is listening to their community and creatively responding. HSI has been around for 52 years and they understand their community. This allows them to know when they need to programmatically adapt to meet their community’s needs and when they need to invest in finding longer term solutions. When reflecting on how another organization could try to create similar programming without the CNS grant Ms Harbeson said, “An organization could find a local or regional foundation that might fund the startup… with a 5 year plan for an increasing rolling match to independence. [While] we do all of our placements for free, [an organization] could choose to charge for placements or even charge volunteers for their own placements…” thereby making such a programmatic shift a viable option. 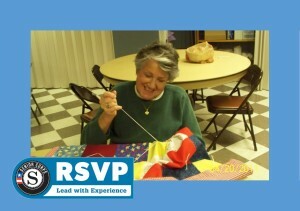 Even though getting funding for programming like RSVP may require creativity, implementing HSI’s practice of listening to its community’s needs and responding creatively is available to all. It just takes time, investment, and a passion to help your community, and your community’s helpers, in whatever way possible.